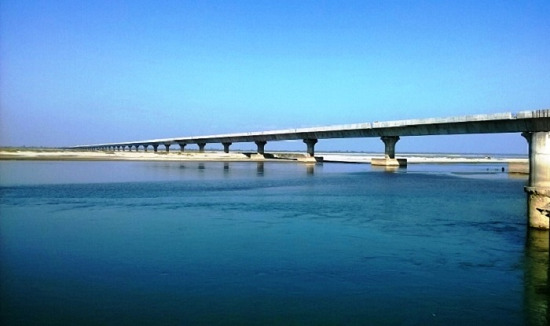 Dhola-Sadiya connects Assam and Arunachal Pradesh. It spans 9.15 km on the Brahmaputra River. hours. But, Dhola-Sadiya will make the journey possible in just 30 minutes, reducing travel time by four hours. Since the bridge is located close to India's border with China, it will help the quick movement of military troops and artillery in times of conflict. The bridge will provide quick and easy accessibility for Indian Defence Forces in the region. It is strategically important to smoothen the military commute to Arunachal Pradesh due to China's claims in the region. As there is no civilian airport in Arunachal Pradesh, Dhola-Sadiya will help people reach the nearest railhead in Tinsukia and the airport in Dibrugarh. The bridge will help save petrol and diesel worth Rs 10 lakh a day.